Singer Conservation Babies are HERE!! 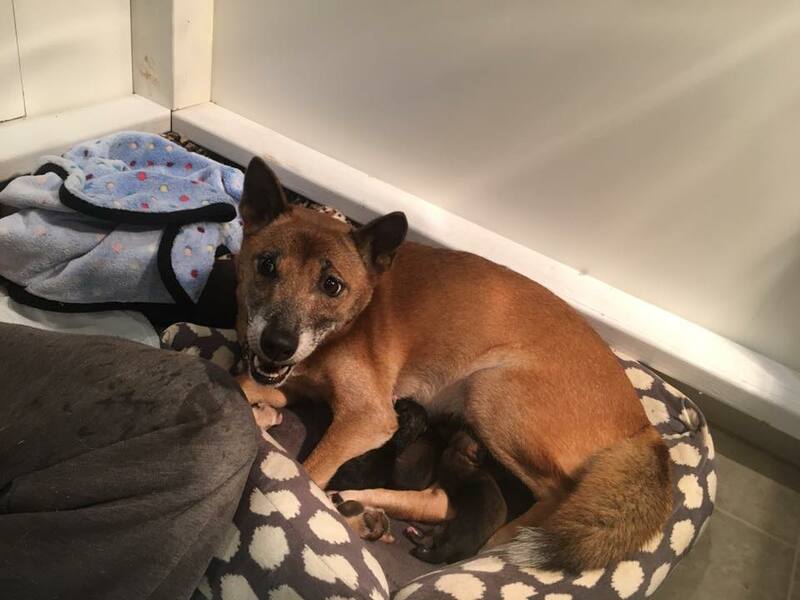 Please join us to welcome a very important New Guinea Singing Dog conservation litter. This litter was planned as part of our center's commitment to applying the latest technology and advances in science to ensure the genetic integrity of the NGSD captive population. Luxxy had 5 precious babies. 3 boys and 2 girls. We named them after the nail polish used to distinguish them: Where's my Chauffer (m), Heavenly (m), Chanel Vernis (f), Positively hot (f), and Forget me not (m). Please follow us as we share their little lives with everyone!!! Older PostTHE BABIES ARE COMING!!! Luxxy's Story and SINGER BABY COUNTDOWN!